This book should have been called "Plymouth: A Story of Courage, Community, and War. 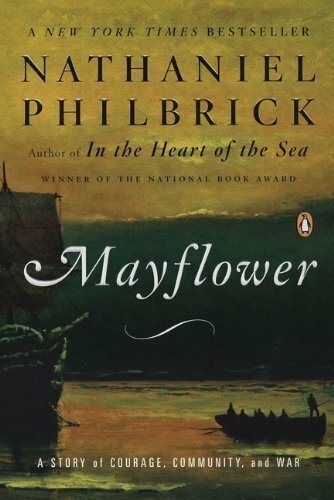 This was a well written narrative that chronicles the pilgrims, and their founding of the Plymouth colony through the first generation of settlers and King Phillp's War. This was an interesting interpretation of that moment in history. The story was written with enough intrigue and character development to keep you going through what amounts to be a very detailed description of the events. It is apparent that the English settlers did an excellent job of keeping diaries and other records of their struggles and trials. It is important to note though that these accounts are largely from one perspective, and the book acknowledges that while even going so far as to try and provide logically explained reasons or alternatives to some actions. Overall, a great read, especially if you are looking for an in-depth (sometimes too much so) description of the first decades of Plymouth and New England.